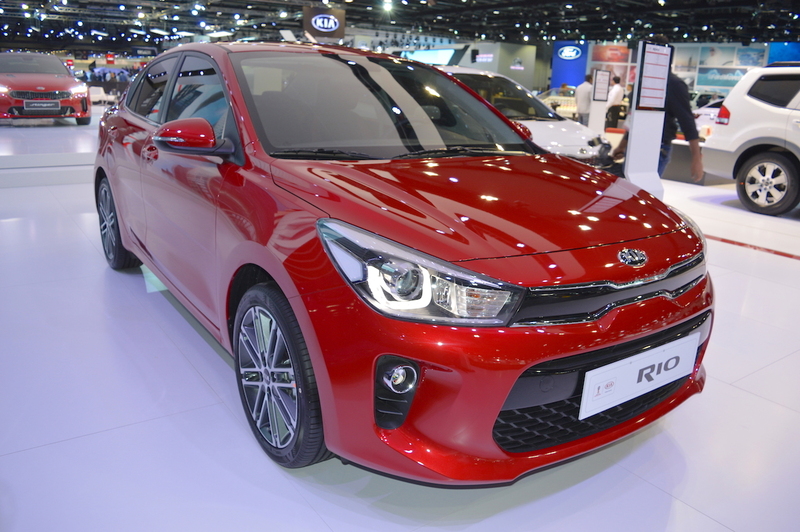 Along with the 2017 Kia Rio hatchback, the 2017 Kia Rio Sedan was on display at the 2017 Dubai Motor Show. The sedan version was unveiled at NYIAS 2017 in April. 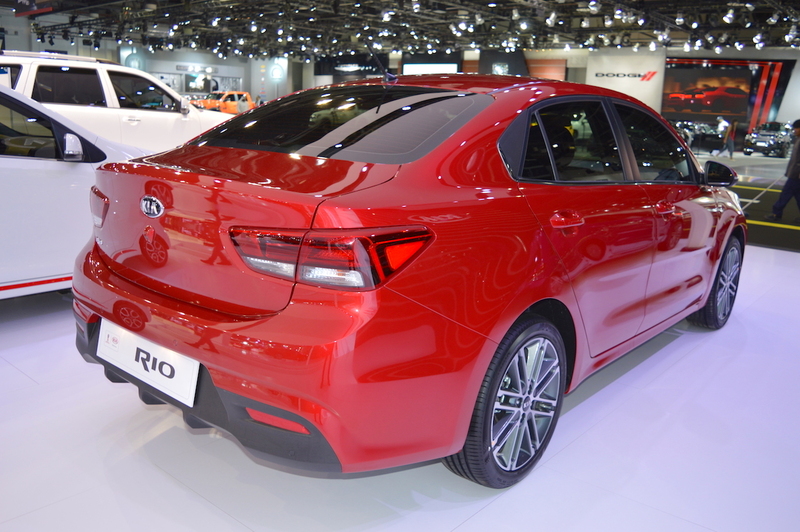 The 2017 Kia Rio Sedan is 4,385 mm long, 1,725 mm wide and 1,460 mm tall. Its wheelbase and ground clearance are same as that of the 2017 Kia Rio hatchback - 2,580 mm and 150 mm respectively. The sedan version’s engine options are also the same: K1.4 MPI and K1.6 MPI. The 1.4-litre petrol engine develops 100 PS at 6,000 rpm and 13.6 kg.m (133.37 Nm) of torque at 4,000 rpm. The 1.6-litre diesel engine produces 123 PS at 6,300 rpm and 15.4 kg.m (151.02 Nm) of torque at 4,850 rpm. Transmission choices, common to both engine models, are 6-speed manual and 6-speed automatic. Unlike the Rio hatch, the 2017 Kia Rio Sedan does not have 17-inch alloy wheels. It settles for smaller, 15-inch alloy wheels. Other highlights include bi-projection headlamps, sleek ‘tiger-nose’ grille, electric folding mirrors, keyless entry, engine start-stop button, automatic climate control, cruise control, 3.5-inch MID, centre console armrest, rear USB charging port and 60:40 split-folding, fully foldable rear seats. Key safety features include parking sensors (rear), Hill-start Assist Control, Electronic Stability Control and six airbags. The 2017 Kia Rio Sedan’s prices in the UAE start at AED 47,900 (INR 8,44,467.54). The small sedan competes with the likes of Hyundai Accent and Honda City in the country.